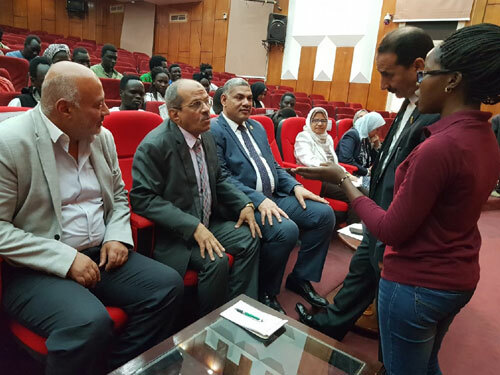 Prof. Ashraf Abd El-Hafeez, Acting President of Fayoum University, met with African students at the university in presence of Prof. Adly Saadawy, Dean of Institute of Strategic Studies of the Nile Basin, Prof. Mona Hettah, Dean of Faculty of Pharmacy, Prof. Nabila Hassan, Dean of Faculty of Computers and Information, Prof. Arafa Sabry, Dean of Faculty of Science and Prof. Ahmed Abd El-Salam, Dean of Faculty of Arts and many Vice deans, on Wednesday, 10/4/2019. 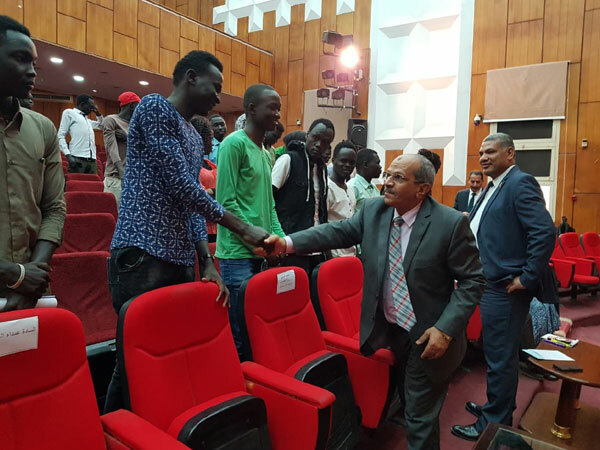 Prof. Ashraf Abdel-Hafiz welcomed the African students, stressing the support of the University's full administration to them and the University's keenness to provide all the appropriate living conditions that enable them to achieve the best performance on the scientific and academic levels, as well as the integration of them in various activities and events within the university. 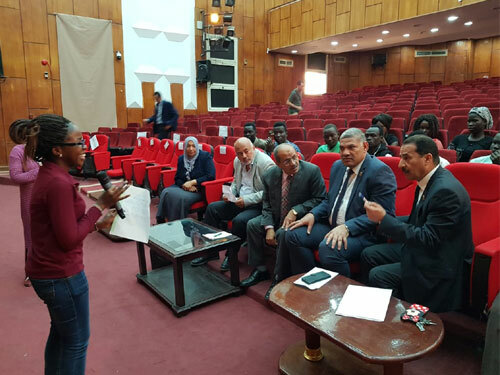 He also stressed the importance of their participation in the first forum for African youth leaders, which will be held this month at the university. 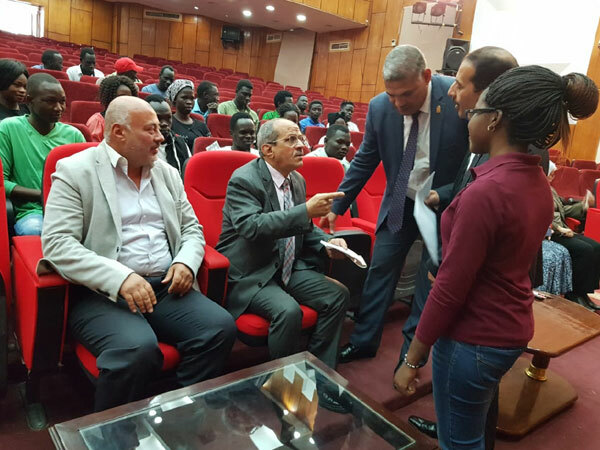 His also listened to the problems they face and their proposals regarding their studies within the university. He confirmed that their proposals are under study and promised them to meet their demands in light of the rules and laws. The students also expressed their pride in belonging to Fayoum University and their happiness for being in Egypt.